spoiled and it’s time to add mom into the mix. 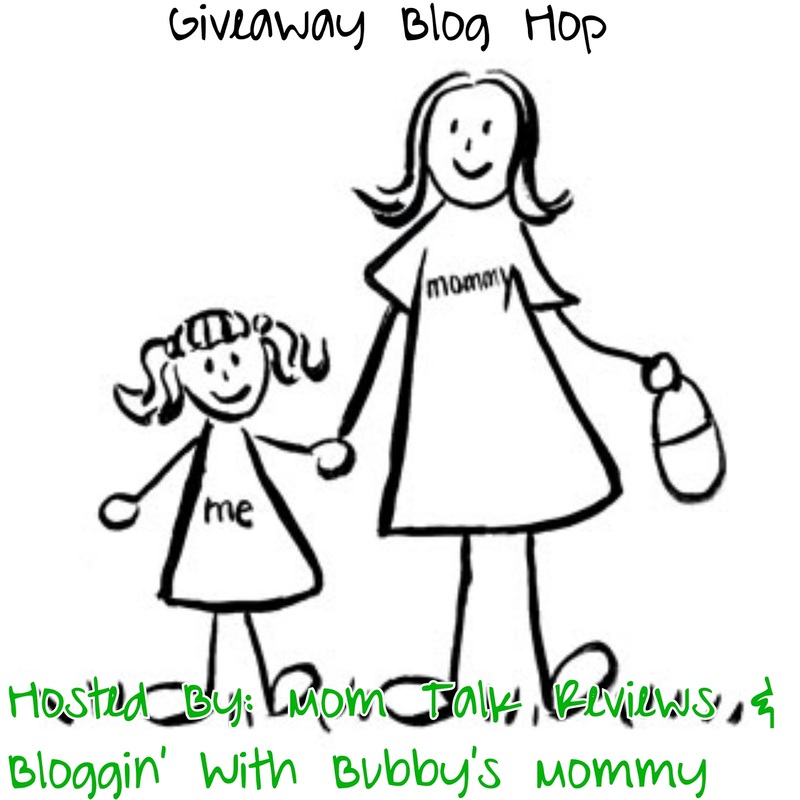 to bring you a Mommy & Me blog hop. Enter to win more prizes using the links below. I’d use this Kindle fire for easy reading with my toddler. I would buy some books to read on it. I would actually gift it to a friend who is going through a hard time. Her mom has cancer and it doesn’t look good so this would brighten her day. I would definitely use this for books and twitter! I’d use it to watch movies when we travel! I would use this to tame my and my daughter’s overwhelming collection of books! This would be perfect for my oldest who is just now learning how to read! I would ask one of my daughters or grandchildren to show me how to use it. I am way behind the times. I woul use it to read! I love love love to read! I would give it to a friend who’s recovering from a broken leg! I would give it as a gift to my mom!! My husband has a Kindle, and I can use it at times, but it would be so much nicer to have my own! I’d keep this for myself and immediately load it with a bunch of books! The question is “what wouldn’t I do?”. Haha! I’ve always wanted one! I would keep it for myself. I have always wanted one. Thank you for the entry. I would read a lot of books! I would read books and watch movies. I would take it to the beach and catch up on my TBR pile. I would give it to my daughter who helps take care of me. I would use it myself for books and such. I would use it to read a lot of books from Amazon. we’re homeschoolers and this would be an incredible resource!! we dont have much technology, this would be a great addition! I would immediately purchase tons of books for myself, educational apps for the children and amazon prime movies for my hubby to watch on the kindle. I would use it to read! Play games and watch movies. I would use it to read on the go! I would use the Kindle for my genealogy books. I would give it to my son for his birthday. I would give it to my granddaughter who will be 10 years old in August. She loves to read and has been asking for a Kindle Fire HD for about a year now. I would use it to read books and watch netflix. I would give it to my daughter for her to read books on. I would use it as a reader. This is so awesome! I would definitely read of course- reading is my favorite. I would also let my Nana use this! I’d give it to my oldest son so he could have a tablet of his own. I would download lots of books and read them! I would play games and read books! I Would Read A Lot Of Books, Read My Favorite Blogs And Connect On Social Media. I’d use it to read and watch TV. I would use it to read books. I would give it to my son so he can read more books. he loves to read! I would give it to my husband to replace his old Kindle. He would be so happy. I would use it to read books — I have the original Kindle and it needs to be replaced with a Fire. I would do everything with it if I won. I would give it to my daughter she loves to read. I would give it to my daughter. She would get a lot of use out of it reading books, music and research. I would probably give it to my daughter she loves watching movies and playing games on them! I would give it to my Mother who would use it all the time for e-mails, work and social media. I’d use it to play games and read ebooks. Thanks. I would give it to my hubby for his birthday, he would love one! I would use it for reading on the go. This is such a fabulous prize!! I have been drooling over a Kindle Fire forever, but have never quite been able to take the plunge. I would love to read eBooks and listen to audiobooks. I have always wanted to take advantage of Amazon Prime’s lending library. I would also read books and watch videos with my toddler (we’re on a Clifford the Big Red Dog kick right now). Thank you so much for the opportunity to win! I would give it to my brother for his birthday. He loves to read. We don’t own any sort of tablet so we would read, discover apps with my 3 little ones. Thanks so much! sincerely. I’d read lots of books! If I won, I would give this to my daughter for her to use for reading. I’d love to have this to watch movies on and to distract my kids from my cell phone. I would read a lot! I’d use it to put all of my son’s ebooks on. This would be great for traveling! Thanks for the chance! I would give it to my son for his 13th birthday. I would give it to my husband as a gift. He loves reading books in his phone, but it is so small, that this would be perfect! I would read and stream tv shows and movies. I would put Kindle Unlimited to good use! It would be great for reading. I would use a Kindle Fire HD in homeschooling my children, and in reading to them just for fun. We could listen to audiobooks and play fun and educational apps together with it, too. Christmas Gift for my mom. She wants one!! I would love to read a good book plus I would share it with my daughter. We would definitely use it as a homeschooling resource! I would use it to check email and browse the web. I would keep it for myself. I have always wanted one, I would read books. I would give it to my son so he could read his books on it! I would use it to keep kids entertained at doctors appointments or other times we have long waits.